It's more than a Dream. It's a Plan. 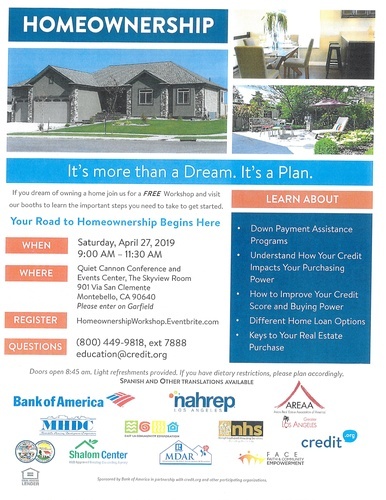 If you dream of owning a home join us for a FREE Workshop and visit our booths to learn the importand steps you need to take to get started.